Because of a learning disability, Cricket had difficulty with some subjects, particularly math. I’d already spoken to the teacher – new to the school and extremely harsh in her control tactics – about Cricket’s special needs. Cricket began tearfully wrapping herself around my leg at school drop-off. I had to pry my sobbing child off my leg and force her into the classroom. My fury flared toward this insensitive teacher. I simply could not forgive what she’d done to my previously happy little girl. I knew that secondhand forgiveness is important to Papa God, but my angry heart balked. Like secondhand smoke afflicts innocent bystanders, secondhand forgiveness is necessary when somebody hurts someone you love. The injured person may forgive the offender, but you continue to harbor resentment indefinitely. And like cigarette smoke, unforgiveness pollutes and corrodes internally. Secondhand forgiveness is especially hard for us mama bears when somebody messes with our cubs. Our protective instincts kick into overdrive. And we tend to hold grudges far too long. We forget that that how we feel has nothing to do with forgiveness. We forgive as an act of the will, because Papa God asks us to, not because we feel forgiving. “Be kind to one another, tenderhearted, forgiving one another, even as God in Christ forgave you” (Ephesians 4:32 NKJV). Be kind to one another. Our kindness as Christ-followers isn’t dependent on anyone else’s behavior. We don’t wait for someone to be kind to us; we show them how it’s done. Kindness is similar to forgiveness in that we don’t necessarily have to like someone to be kind to them. Writer Samuel Johnson said, “Kindness is in our power, even when fondness is not.” Likewise, we can forgive someone whether we like them or not. But we might end up feeling quite differently when we’re on our knees. Forgive one another. Forgiveness is the element essential to finding inner peace. Resentment is poisonous; the poison gradually spreads and chokes out the Son-light within you, leaving dark bitterness in its place. Forgiveness isn’t about changing someone else; you don’t have the power to do that. It’s about changing something within you. You don’t have the power to do that either, but Papa God does. Even as God in Christ forgave you. To truly forgive others as the Lord forgives us, we must tap into our Savior’s vast supply of supernatural grace (undeserved favor). He specializes in grace – He proved that at Calvary, when Jesus willingly paid the price for our sins and died in our place. He forgives you for your wrongs and wants you to do the same for those who wrong you. Through much prayer and Papa God’s grace, both Cricket and I forgave the insensitive teacher, although she left the school after three months due to extensive personal problems. Say, my friend, is there someone who needs your secondhand forgiveness today? About the author: Debora M. Coty lives, loves, and laughs in central Florida with her longsuffering husband, Chuck. 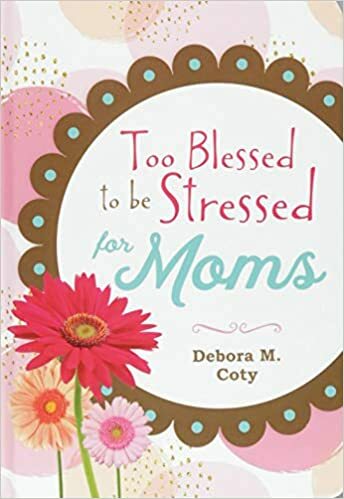 Debora is a popular speaker and award-winning author of over 40 inspirational books, including the bestselling Too Blessed to be Stressed series. Her newest release is Too Blessed to be Stressed for Moms. Join Deb’s fun-loving community of BFFs (Blessed Friends Forever) at www.DeboraCoty.com. Join the conversation: When have you had to offer second-hand forgiveness? I’ve found forgiving people who have hurt my kids and husband much harder than forgiving someone who hurts me. Thanks for this helpful article! So beautiful! I loved that. I’ve been a victim of second-hand hatred because another believer held a grudge against me and told lies to another believer. That second-hand hatred has poisoned the relationship, and no matter what I’ve tried to do to set the record straight, that second person has refused to forgive things that did not happen. I wish the Lord would fix this!